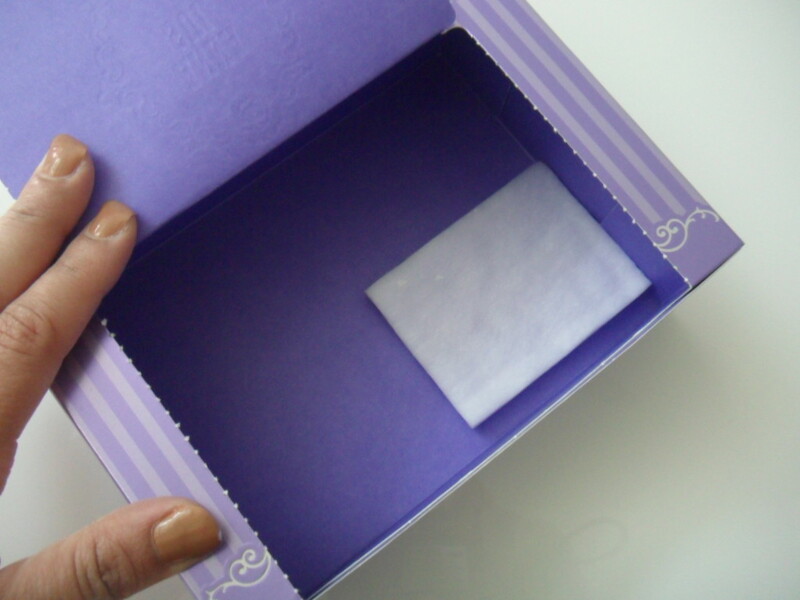 Anna Sui’s signature purple cotton is an essential tool in your daily skincare regimen. Not only does it look pretty, it is designed to function better than ordinary cotton. Each square is super soft yet non-pilling and gentle on even the most delicate skin. 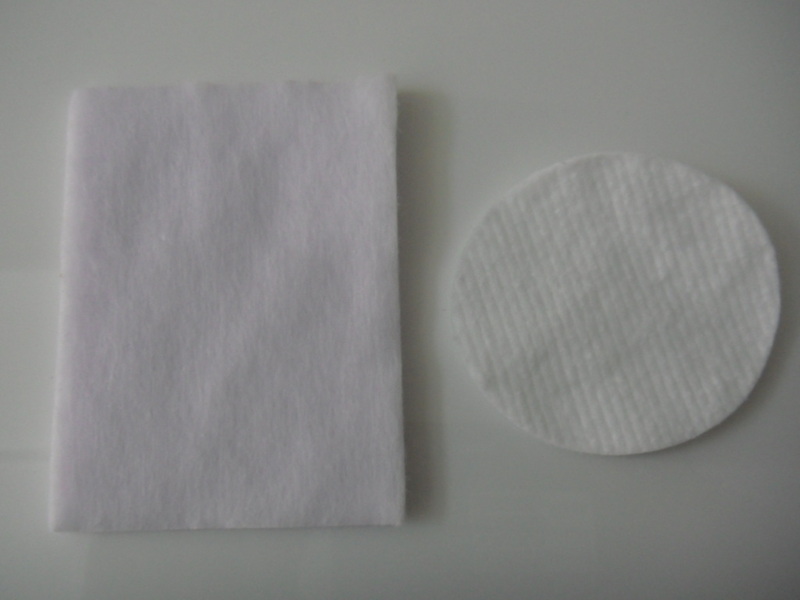 The large squares are also able to absorb a large amount of product and cover more surface area making your skincare products more effective. For as long as I can remember, I’ve always longed for something (anything, really) from Anna Sui. Although she’s American (born to Chinese parents) her aesthetic is strongly reminiscent of the Japanese aesthetic (with its whole kawaii-factor). To the extent that without knowing anything about Anna Sui the woman or the brand, I wrongfully assumed Anna Sui was a Japanese brand, after only seeing a few Anna Sui makeup products online (and coveting them). Even if I wanted to purchase anything, I had no way of buying them. For years, I coveted Anna Sui products from afar. I even discovered several items including a mirror, a hairbrush, and some of the smaller storage pieces at Daiso that totally looked “inspired” by Anna Sui, and of course had to purchase them. 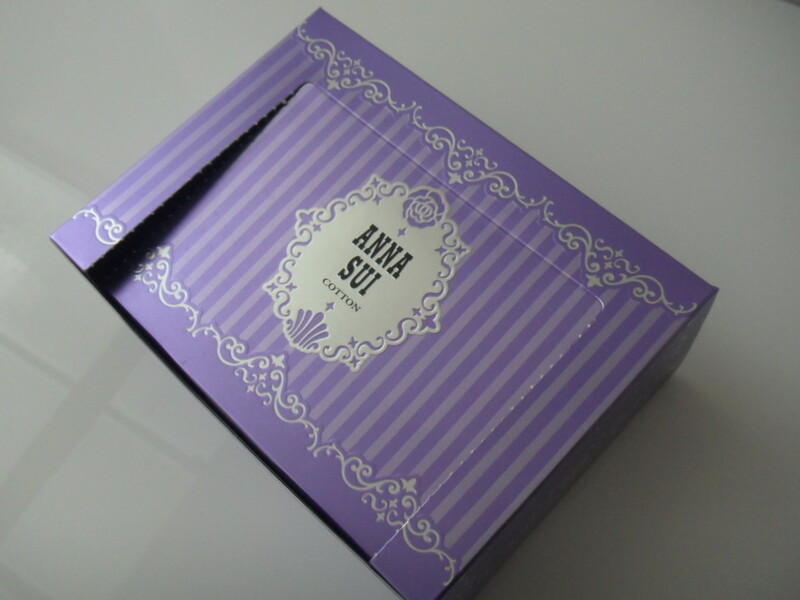 Finally, about two or so years ago, Beauty.com started selling Anna Sui products. I just about died of happiness! They had a small selection, and it was crazy expensive, but I was happy, because I could finally get my hands on some Anna Sui stuff. Namely, those stunning, stun-ning, breathtakingly beautiful multi-colored roses blush housed in an equally heart-breakingly beautiful intricately-designed crystal compact. 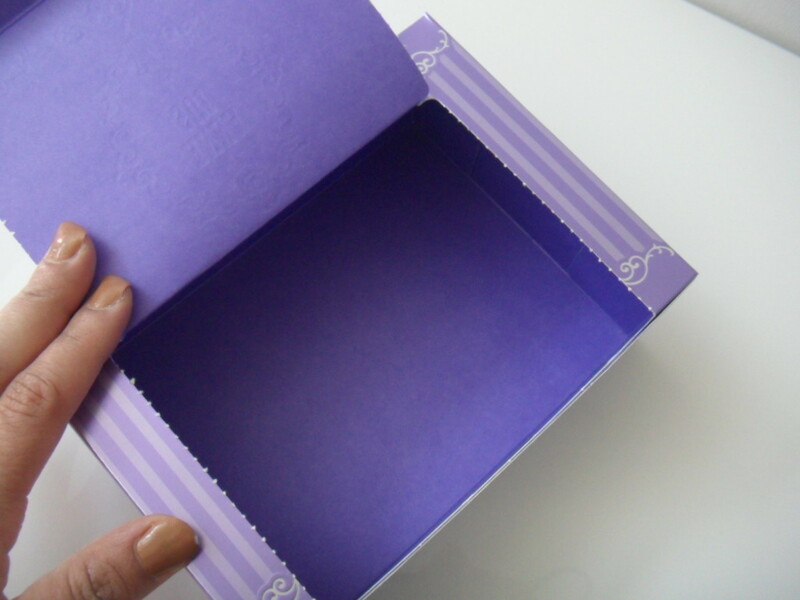 One of them (#100) even had roses in white, lilac, lavender, and blue (meant to be used as a highlighter, I’m assuming) way before Anastasia, Makeup Geek, Colourpop, or even Sleek came out with theirs. The only thing that bummed me out was that instead of whimsical names for the different shades, they had numbers, which just bores me. As well as being exceptionally beautiful, these works of art (because, let’s be real, that’s what they are, pure art!) were also very dear (read: expensive). I figured I’d wait until Beauty.com had their next Friends & Family sale where everything site-wide was 20% off, to pick up the Anna Sui Rose Cheek Color, but I purchased the Anna Sui Cotton to tide me over until then (and fulfill my dream of owning something from Anna Sui). As for the Rose Cheek Color, I slept on it (read: took my sweet time) and Beauty.com closed down (read all about it – here) so I never got the chance to purchase any of them. 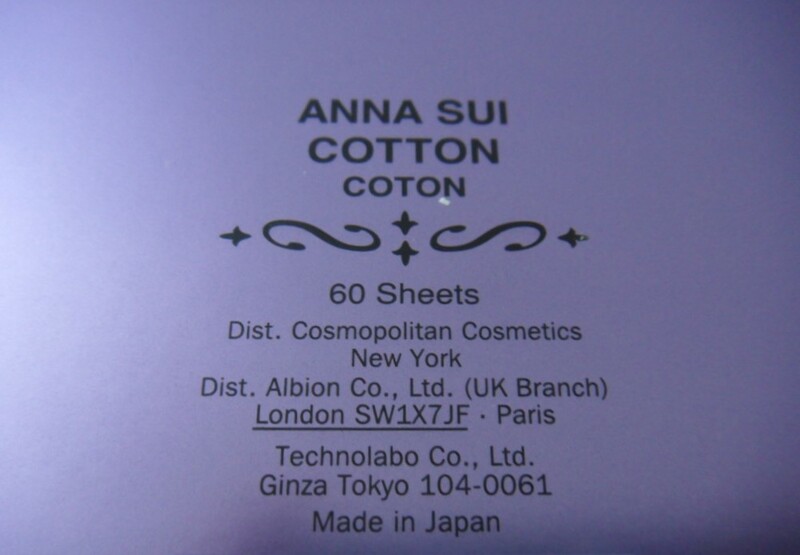 I was so thankful that I’d at least purchased the Anna Sui Cotton when I’d had the chance! Look at that packaging. It’s so Japanese! 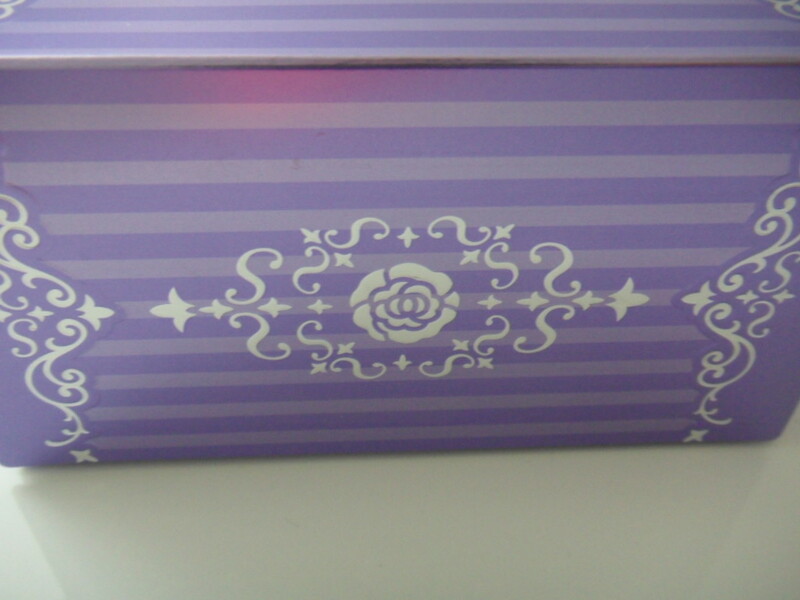 It’s all stripe-y and purple with fleur-de-lis all over, and of course the iconic Anna Sui rose. A bit busy but that’s the Japanese aesthetic for ya’, very kawaiii, nonetheless! I believe this was ten bucks. I’m holding it open in the photo so you can get a better idea of its dimensions. It’s pretty flimsy but even when I accidentally got the box wet (placed it at the bathroom sink) the cotton sheets house inside were completely dry and protected. I’m wearing the Vegan Nail Color in the shade Caring Caramel from The Body Shop (reviewed – here). I saved the last cotton sheet to show you guys. Ideally, they’re meant to be used in conjunction with skincare. Since I’m not big on skincare, I reserved this for makeup-removal. 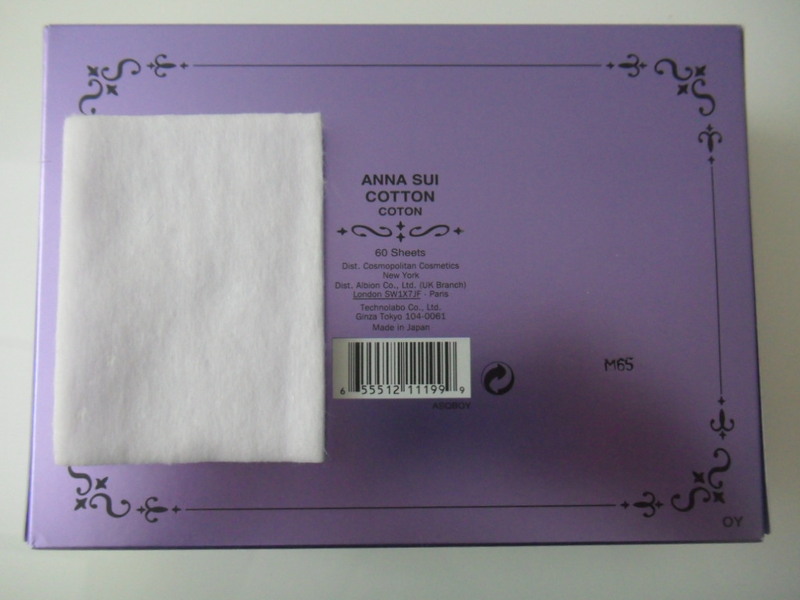 Here’s the Anna Suit Cotton Sheet side by side with a cotton round from a random brand, for comparative purposes. 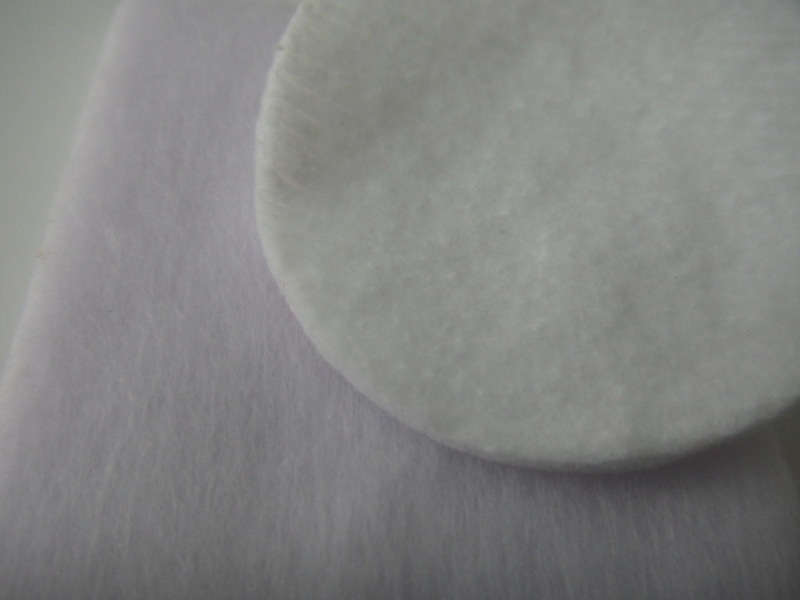 Here’s a close-up of the Anna Suit Cotton Sheet underneath the cotton round. Hopefully, you guys can see the difference in texture and quality. Basically, these things are huge! I used them in conjunction with my Clean & Clear Makeup Remover (reviewed – here). Together, they completely removed every trace of makeup off my brows, eyes, under-eyes, lashes and cheeks, all in one go. Seeing as how they’re so big, I felt like it would be a waste to use them for removing my nail polish so I only did it once (just to see how they’d perform). I’m not quite sure what I was expecting but I wasn’t mind-blown. They weren’t amazing but they were fine. They weren’t extra-soft or anything like that. However, you could definitely tell they were good quality because they didn’t come apart like the cheaper cotton from generic brands. Some of you might be thinking $10 for 60 cotton sheets is pretty pricey. However, 1 Kuwaiti Dinar is a little over 3 US Dollars meaning $10 is about KD3/000 which isn’t ideal for 60 cotton sheets but it’s not crazy, either. Overall, I liked them but I didn’t love them. These were nice to try, but I wouldn’t repurchase them (if I ever had that option again). That said, these were definitely superior to any of the other kinds of cotton I’ve used in the past.